HUMAN FLIPPY. 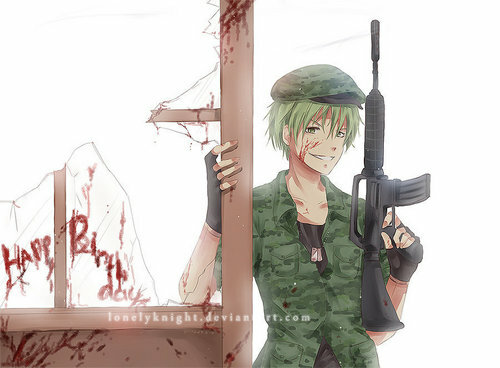 Flippy in human, アニメ form. HD Wallpaper and background images in the Happy Tree Friends（ハッピー・ツリー・フレンズ） club tagged: flippy human form happy tree friends mondo media murderer gun killer. This Happy Tree Friends（ハッピー・ツリー・フレンズ） photo contains グリーンベレー帽, 特殊部隊, エリート兵士, グリーンベレー, 緑色のベレー帽, ライフルマン, ライフルン, ライフル銃兵, 疲労, and 疲れる. There might also be regimentals and 連隊. Uh thanks, I think I killed the B-Day person!